The GDPR imposes many requirements and obligations for organizations not only within the EU, but around the world. 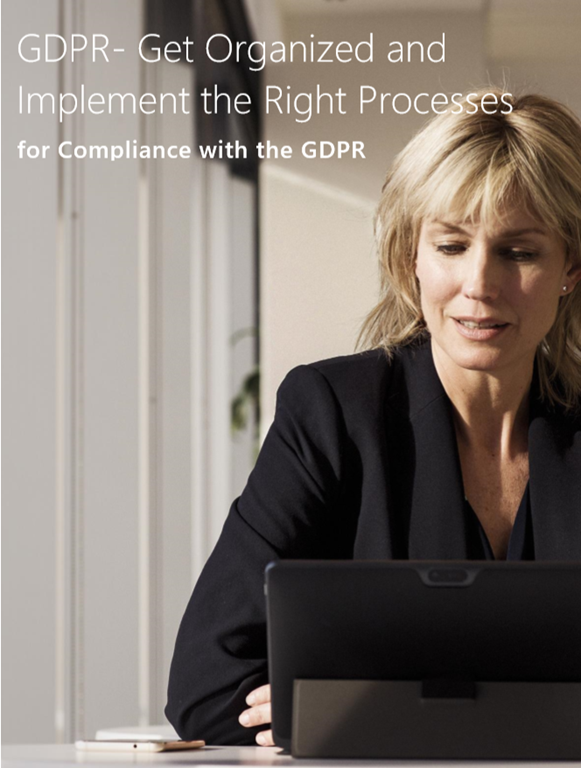 This paper from Microsoft discusses how to initiate and organize a GDPR program to begin or continue the path to compliance with the GDPR. The GDPR imposes many requirements and obligations for organizations not only within the EU, but around the world. GDPR compliance will require significant investments in data management and data protection for a large number of organizations and enterprises. Microsoft customers who are subject to the GDPR, whether processing data in house, in the cloud, or in hybrid configurations, must ensure that personal data within their systems are properly processed and protected according to the principles of the GDPR. This means that many customers will have to revise or modify their data processing procedures, the implementation of these processes, and the security of these processes as stipulated in the GDPR. Microsoft has significant experience in managing the principles of data protection and in complying with complex regulations. We have committed to sharing this experience with customers to help them meet the objectives and privacy requirements of the GDPR. In this context, this paper discusses how to initiate and organize a GDPR program to begin or continue the path to compliance with the GDPR.